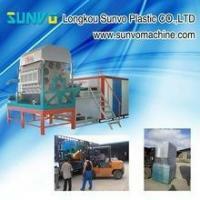 The capacity of this machine is about 1000 pcs/h. 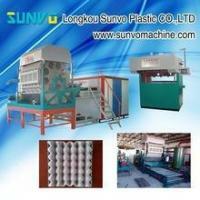 The whole production line include pulp making system + egg tray molding system + egg tray drying system + egg tray packing system. The raw material use general waste paper, and don't use it with many plastic. 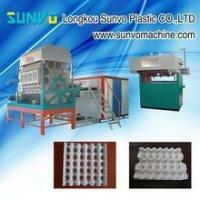 The molding machine part is 8 faces drum, each faces have 4 moulds,4 transfer moulds. 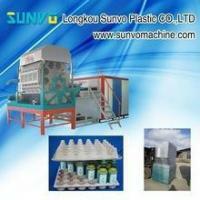 The drying line we will make single layer or multi layer depend on buyer's request. Our Machine have ISO9001:2000 quality management system certification and CE certification issued, Guarantee quality . The Egg Tray Machine exported Australia, India, Russia, Dominica, Uzbekistan, Egypt, Malaysia, Brazil, Iran, Kazakhstan, Sudan, and enjoy great recognition. 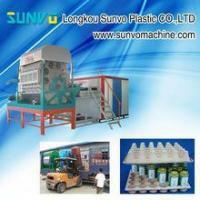 Egg tray machine are sold well in China and other countries in the world . If you are interested in our products please feel free to contact me and I will reply you as soon as possible . Looking forward to your inquiry . 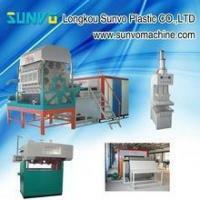 Founded in 1994, our company has developed SJF certified Plastic Extrusion Machinery, Forming Machines, Fruit Cleaning, Waxing and Grading Machines, and Fruit Bag Making and Shaping Machines, totally more than 20 kinds of machines. Our products are widely used in the fields of fruit making & processing, furniture packing, food, medical apparatus & pharmaceutical, electron, arts & crafts, construction industry, etc. 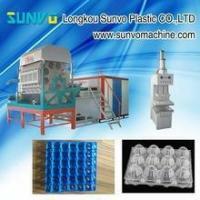 We are one of the leading manufacturers of packing materials and related machinery. During sixteen years of development, we are highly experienced in machinery manufacture. With the market share expanding quickly year after year, the sales of our products are progressively increasing. The performance of our machinery is always in the leading position compared with the same products in the market, depending on quality and price. Our company sticks to the business motto of "the exquisite products, persistence quality is life, credit is the development". With the quality guarantee system, after several years of hard work, our company has set up a network in the market and has won the strong position. 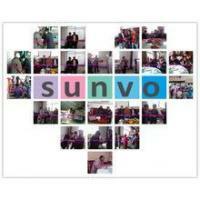 Our success is to meet different needs from customers at home and abroad. All kinds of products of good performance are highly welcomed by the vast number of users. We implement quality strategy at the same time. We pay more attention to the improvement of staff technology, because we believe that only excellent talents can produce perfect products.